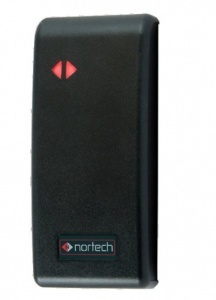 Nortech MP1-EM1 Mullion Mount 125KHz Proximity Reader with 26-bit Weigand and Clock & Data Outputs. Also available in Dual Prox® version (MP1-DP1) for reading old and new PAC Tokens, please select variant if required. 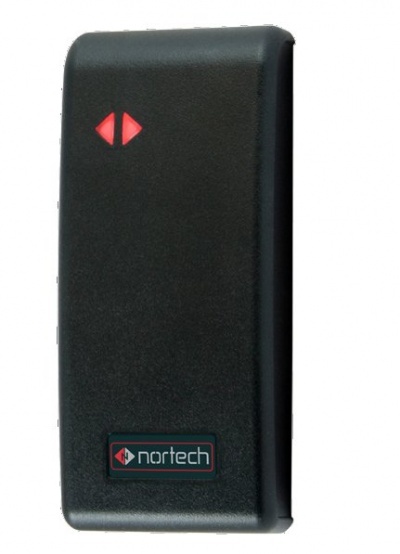 Nortech's DualProx® Readers (MP1-DP1) with PAC serial and 26-bit or 44-bit Wiegand Data Outputs can read tokens and cards from a number of manufacturers including those from PAC International Limited.